Dudnyk V. M., Kutsak O.V. Objective: to evaluate the changes of the nuclear factor K-light-chainenhancer of activated B cells (NF-kB) in blood serum in children with bronchial asthma (BA), depending on the severity and level of disease control. Material and methods. NF-kB level was detected in 70 school-aged children with BA, who were treated at the Pulmonologic Department of VOCCH from 2016 to 2017. Twenty three patients had intermittent course of the disease and 47 had persistent BA. Controlled BA was observed in 19.14% of cases, partly controlled — in 31.91%, uncontrolled — in 48.95% of patients. The control group comprised 25 apparently healthy children whose physical development corresponded to their age. The biochemical study was conducted in the Scientific_Research Clinical and Diagnostic Laboratory of the National Pirogov Memorial Medical University. The serum level of NF-kB was detected using Human NF-kB ELISA Kit (Elabscience, China) according to the manufacturer's instructions. Results. In the blood serum of children with BA, the high levels of NF-kB were revealed — 7.15±0.25 pg/mL that was 1.95-fold increase compared with the apparently healthy children — 3.66 pg/mL, (p<0.001). Analysing the results according to the course of the disease, it was revealed that the NF-kB levels were 1.86 and 2.05 times higher, than in the apparently healthy children for intermittent and persistent BA, respectively (p<0.001). According to the BA control, the results were as follows: with controlled BA, the serum level of NF-kB was 8.79±0.72 pg/mL, with the partly controlled BA — 7.63±0.68 pg/mL, with an uncontrolled form of the disease — 6.41±0.41 pg/mL and was 2.4_fold than the levels in the apparently healthy children — 3.66±0.21 pg/mL (p<0.001). The level of NF-kB in the controlled BA was 1.15 times higher, than in the partly controlled disease or 1.4-fold increase in case of uncontrolled BA (p<0.001). A high level of NF-kB in comparison with apparently healthy children was observed in the age of 13–18 years (7.70±0.53 pg/mL, p<0.001). In the group of apparently healthy children, NF-kB level was within the reference values and made up 3.34±0.26 pg/mL at the age of 6-13 years, and at the age of 13-18 years – 4.35±0.29 pg/mL. Conclusions. The study revealed the changes of the nuclear factor K-light-chain-enhancer of activated B cells (NF-kB) in the serum of children with BA, depending on the severity and level of disease control. The main function of NF-kB is the rapid incorporation of anti-inflammatory genes, regardless of the BA severity and control level, only with the difference that in the persistent BA, the expression of NF-kB is higher that allows greatly activating other proteins, which in turn, may activate the expression of NF-kB itself. We observed a lower rate of NF-kB in the children with intermittent BA compared to persistent BA in 1.15 times, and the level of NF_kB in controlled BA was 12.8% higher than that in partly controlled or uncontrolled BA – 29.8% (p<0.001). The levels of NF-kB in serum of children with BA do not depend on the age of the patients. Key words: bronchial asthma, children, nuclear transcription factor (NF-kB). 1. Geppe NA. (2013). Bronchial asthma in children: questions of definitions and tactics of conduct.Pharmacy. 1:61–66. 2. Horbas VA, Smyan OI. (2009). The role of proinflammatory (IL-8) and anti-inflammatory (IL-4) interleukin in the activity of the inflammatory process in broncho-pulmonary pathology in school-age children. Child health. Clinical Pediatrics. 5 (20): 74-77. 3. Kryuchko TO.(2013). Approach to treatment of bronchial asthma in children with a burden of genetic anamnesis. Health of Ukraine. Pediatrics. 4: 41–49. 4. 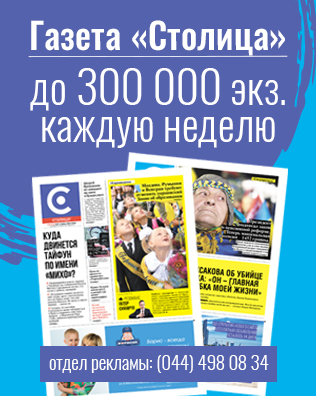 Maidanik VG, Smyyan ОІ, Sichnenko P.I. etc. (2017). Bronchial asthma in children. Tutorial: 243:11-14. 5. Unified clinical protocol of primary, secondary (specialized) medical diagnostics. Bronchial asthma in children. Order of the Ministry of Health of Ukraine dated 08.10.2013. No. 868. http://www.moz.gov.ua. 6. Rasin MS, Kaydashev IP. (2014). The role of nuclear transcription factors in the syntropism of modern internal pathology (review of literature). 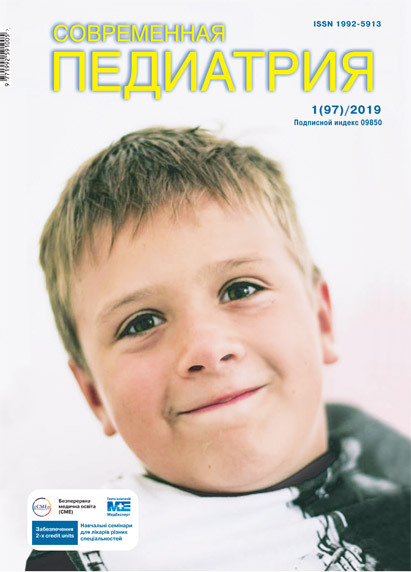 Ukrainian Medical Journal.1 (99):17–21.